Do you wanna say goodbye to the complex checkout which is leaking a huge amount of your money by mass unnecessary required information? Magento 2 One Step Checkout, gathering logically all steps complexity into one page, will ease customer’s awkward and help them finish the checkout process within less than 1 minutes. The checkout module that assists thousands of stores to improve sales by 60%, 30% conversion rate, and decrease abandonment cart rate by 66%. 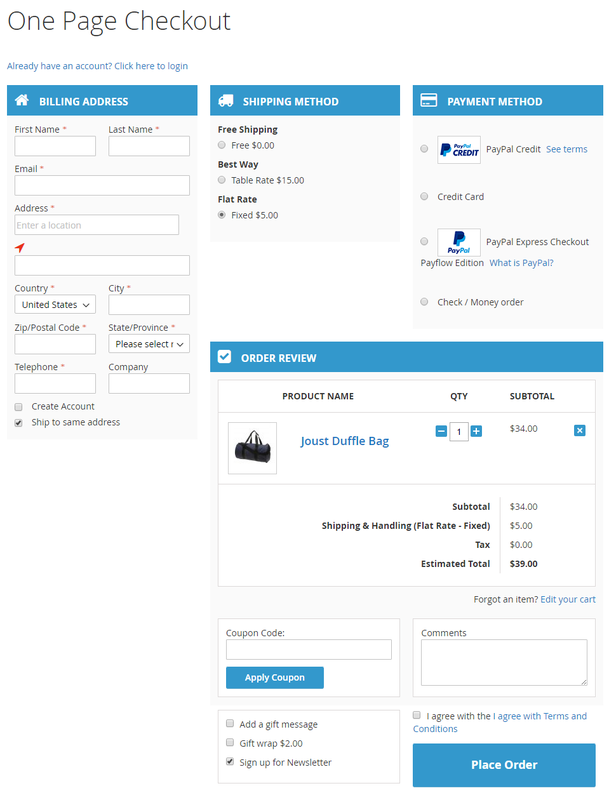 One Step Checkout powerful Layout with Checkout Page Responsive functionality that can be adapted to any screen size. Resize browser to view. 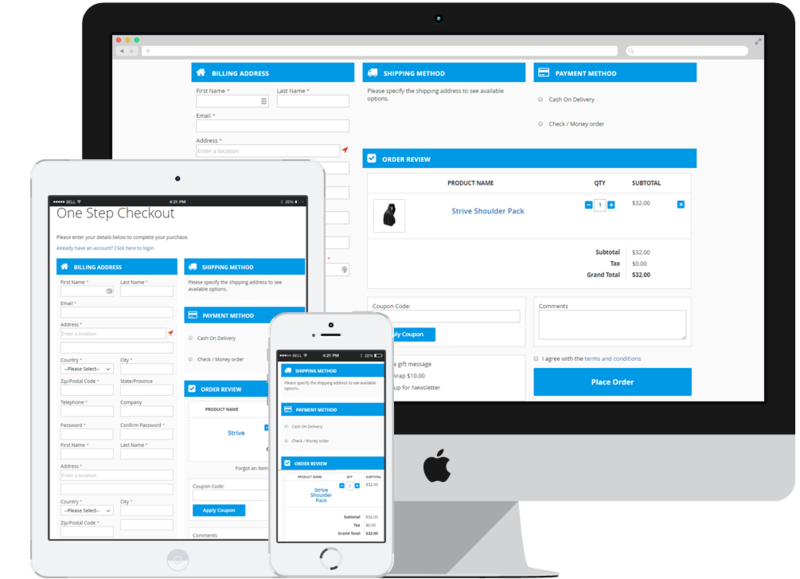 Your Checkout page will looks beautiful & ultra-sharp on Retina Screen Displays. Retina Icons, Fonts & all others graphics are optimized. You have complete easy control on each & every element that provides endless customization checkoutout page possibilities. Use any Font you like from Google Web Fonts, Typekit or other Web Fonts in checkout page. They will blend in perfectly. What is Magento2 One Step Checkout? One Step Checkout module for Magento 2 including lots of powerful functions especially optimizing all checkout steps on one page to speed up the whole shopping process and significantly enhance your customer satisfaction. Moreover, it also helps increase customer's satisfaction when experiencing shopping in your marketplace. Magento 2 One Step Checkout extension supports 3 popular columns style that is comfortable for any device implementing the checkout process on your store as PC, tablet or mobile.. According to Nielsen Norman Group, web users spend 80% of their time looking at information above the page fold. Thus, the abandoned rate is the lowest when Place order button is closer to customer’s reach by merging Delivery Time into Shipping Method to save space. Let’s compare, you will see the significant change of the length of page. 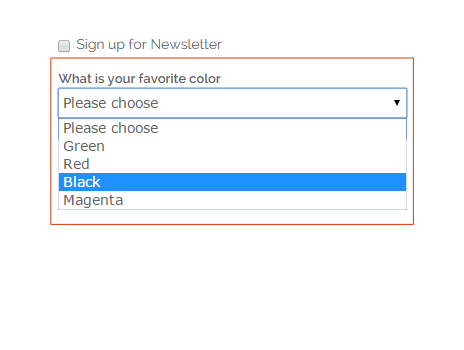 You will effortlessly change color style of checkout page to match with your brand as well as your design. Not only 8 popular colors for your design, it also supports specially color that you may freely custom depending on your current design. This is the unique idea when it enables to reorganize the order of fields which are required or optional to input. Moreover, shortening and eliminating unnecessary fields lead your clients save their waiting time and get the most pleasure of your service. Several extensions might make you deal with a matrix of configuration options. However, you won’t face to that thanks to One-click import function. Activate two modern technology: Google Address suggestion and Post Code anywhere, so that Give customer's most convenience with Google Address suggestion and Post Code anywhere. 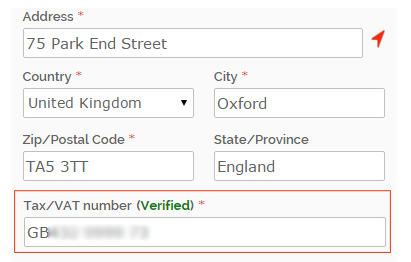 The user will be recommended their addresses at once and the address information is likely to be fulfilled automatically in exactly appropriate required fields. Additionally, you will discover a superior tool, Locating Button, which can be installed in Magento 2 One Step Checkout. The customers just need to press on that button, then their address will be entirely outfitted promptly by Google Maps Suggestion. Allow to enable or disable the Tax/VAT number. It's possible to check the VAT number field for personal or company buyer. If there is any change of billing address, the certain section as Shipping Method, Payment Method, Order Review or Coupon will update instantly without reloading the entire checkout page, that depends on Trigger Configuration in the backend. Imagine that a buyer will see straight away the fee on the Shipping Method section when his address is done. Moreover, customers can change the items if they need such as add or subtract their quantity, add new products even remove the current one. All of them are carried out instantly on the order review section. 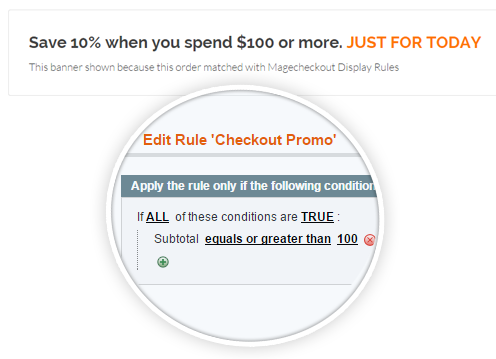 With the Magento 2 extension, coupon or gift card is applied for the payment. 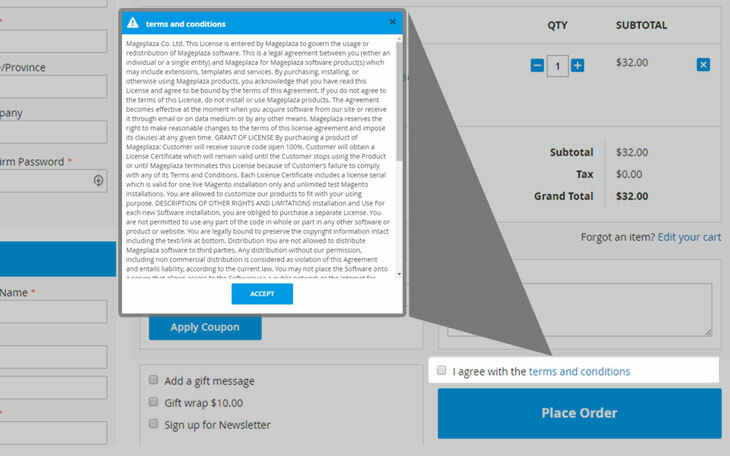 Customers will insert the coupon code or the gift card code they have into the required box bellow checkout page, then the system will auto-discount depending on the value of coupon. 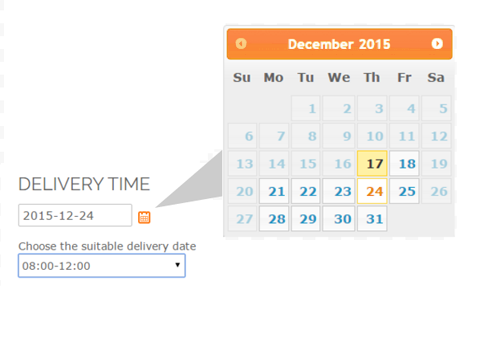 Using the delivery time plugin is the particular solution to create the clear and simple shipping operation. And you might avoid misunderstanding in communication with customers. 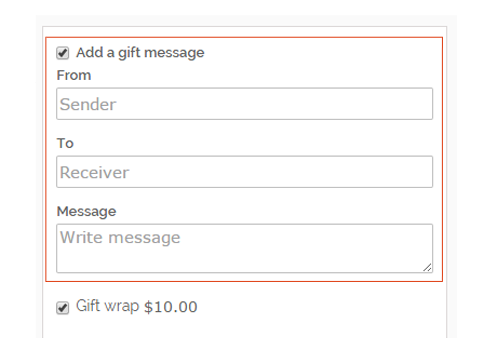 Customers can submit a gift message to their friends right on the checkout page. Especially, there is any requirement for accessing to an email account, just entering customer email, recipient email and writing a meaningful short message. Although brief survey only has one or even two quick closed question, you can find out how customer hears about you or what customer’s favorite color is in order to serve your marketing goal. 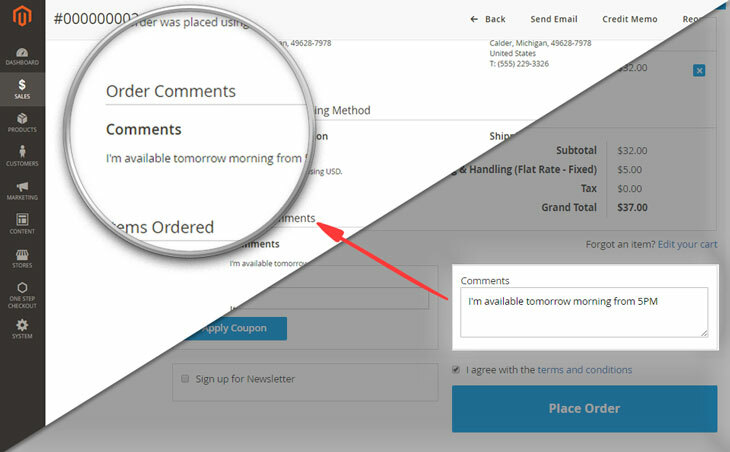 Checkout page Provide clients the comment box in order to add their individual requests which are not contained by the module. Enable to simply and easily change “Term and Condition” title, content, color design as you expect. 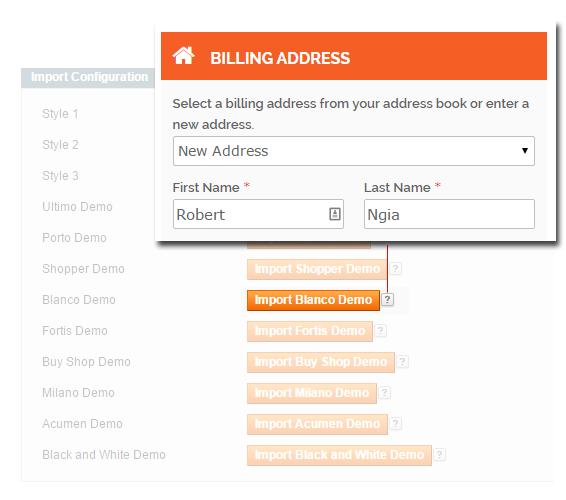 Apart from simplifying the checkout process, promotion programs are also integrated into the module. Checkout Page promo is a smart and intelligent marketing tool with upselling banner ad so as to stimulate the customers to buy more on checkout process. 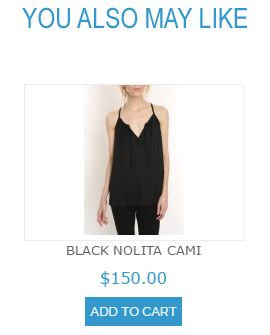 The banner can be at the top or bottom of checkout page basing on your setting. For example: Get an Extra 10% Off with Order of $100 or More, Get X free when buying Y items, $10 Off Your Purchase Of more than $100. Cross-sell is one of the fantastic features which brings customers other awsome related products which are surely useful for their purchase. These ones that come from other categories will be shown at the bottom the checkout page. Example: if you’re selling pets, you can offer pet foods, pet beds, pet cages or pet toys, etc. Social Login is very grateful gift helping clients gain more and more satisfaction with logging in via the most popular social channels: Google+, Twitter, Facebook, Linkedin, Instagram. 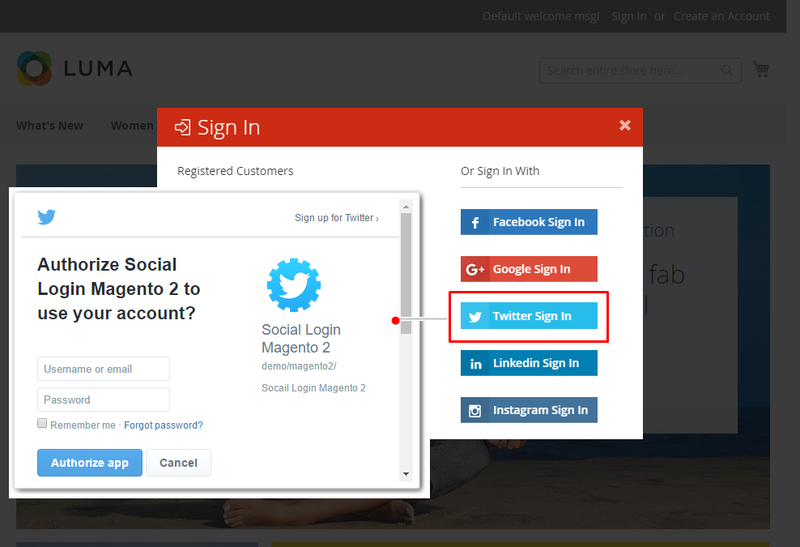 If a customer has any available one of five social accounts, just click on that and login to your site as usual. Sometimes customers add products to their cart, but do not complete them. There are a thousand of reasons to cause the abandonment. So why don’t remind the buyers and take them back to their abandoned cart? 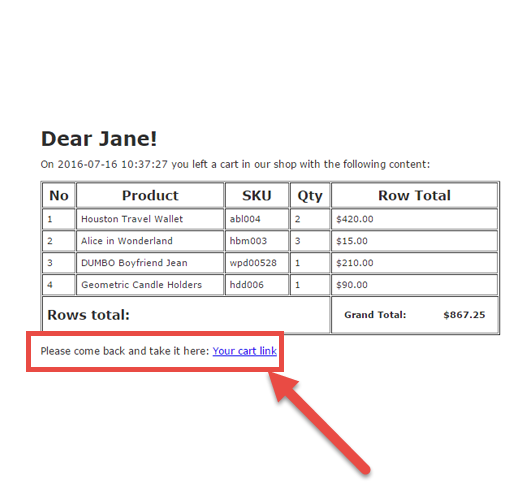 The abandoned cart email contains detailed information about that cart attaching to a return link conveniently. Enough? Start with One Step Checkout!